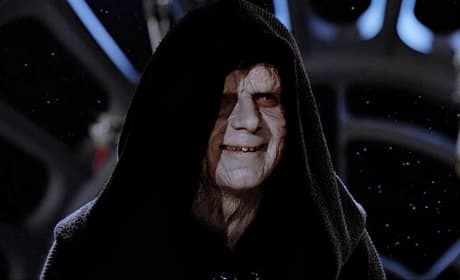 Ian McDiarmid stars in Return of the Jedi. He is the ruler of the Dark Side. Mark Hamill is Luke Skywalker. This shot is from a Star Wars trailer done like Guardians of the Galaxy. 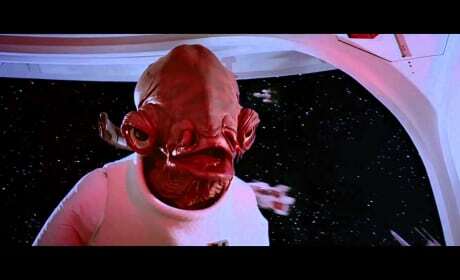 Return of the Jedi features one of the most iconic quotes of all time in "It's a trap!" 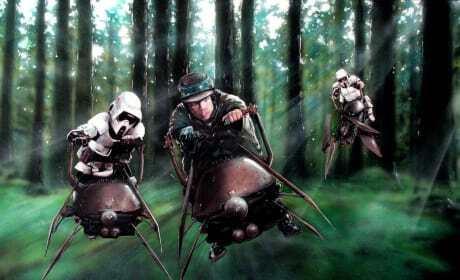 The speeder chase scene from Return of the Jedi. Luke Skywalker flies through the forest. 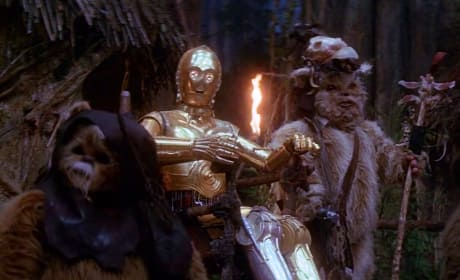 C3PO becomes a god in Return of the Jedi. Anthony Daniels voices the robot. 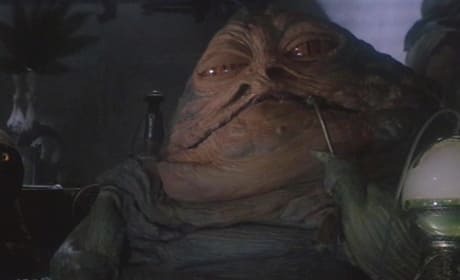 Jabba the Hutt in Return of the Jedi. 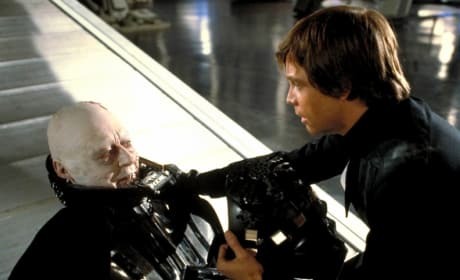 Luke Skywalker takes care of him! Carrie Fisher in the iconic metal bikini in Return of the Jedi. Fisher is Princess Leia. 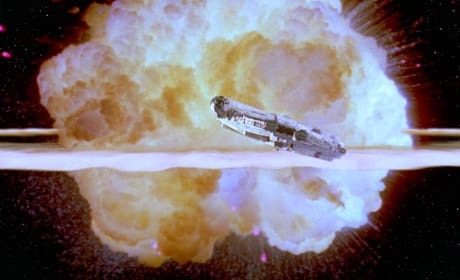 The Death Star is destroyed in Return of the Jedi. 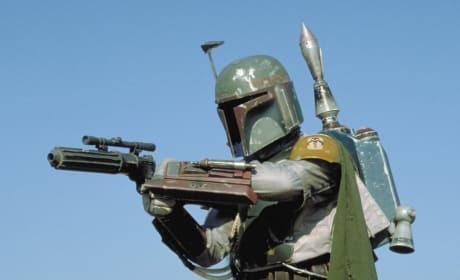 This time out, it's because of Han Solo! Billy Dee Williams in Return of the Jedi. Williams is back as Lando. 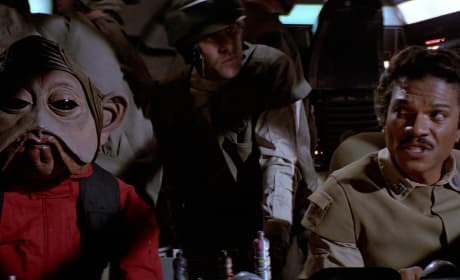 Luke and Anakin have a moment in Return of the Jedi. 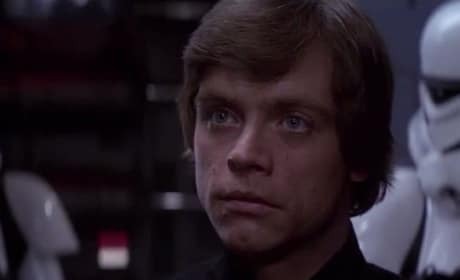 Mark Hamill is Luke Skywalker. 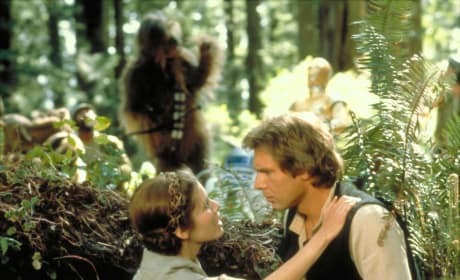 Return of the Jedi stars Harrison Ford and Carrie Fisher. Ford is Han Solo and Fisher is Princess Leia.